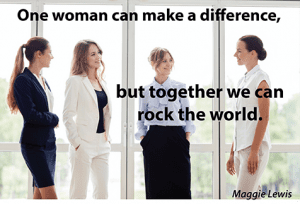 7 ways you can champion other women (and yourself)! 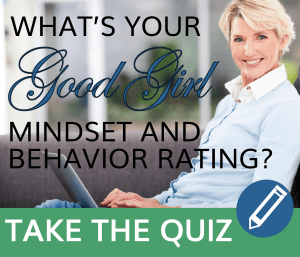 Are you a critic or a champion? It’s no secret that the gender gap is real. Women are under-represented and underpaid in top leadership roles and this trend is consistent across industries and countries. According to the World Economic Forum’s Global Gender Gap Report (2017), the timeline to close the economic gender gap continues to grow. It’s now projected to be an astounding 217 years! While this is a bit of a Catch-22 (the way to get more women into leadership is to have more women in leadership), there are things we, as women, can do to promote each other. But are we pro-actively supporting each other? Not always. During a recent workshop, a participant shared her experience with a female boss who is undercutting her career prospects by being harshly critical of her and unsupportive of her career ambitions. Sadly, this type of behavior – women preventing other women from advancing – is real. It even has a name: the “sisterhood ceiling”. But by being brave enough to share her story with others, this woman sparked a conversation about how women can be champions for each other. Mentor. Provide guidance and advice to someone else – at work, through a professional organization, or at your alma mater. Sponsor. If you’re in a more senior role, be an advocate for a high-performing woman and help her advance. Promote. Give recognition. In meetings, promote other women by crediting them for their ideas. This amplification strategy increases impact and influence. Connect. When networking, ask other women how you can support them. Share helpful resources and offer to make strategic introductions. Partner. One of the best ways to get more of your priority work done is to have an accountability partner. Set goals, strategize together, and hold each other accountable. Speak truth. This can be challenging because we often worry about hurting someone’s feelings. But honest feedback, given with kindness, is a gift that promotes growth. Befriend. There are times when what we need most is a friend. She’s the one who has your back, helps you get up when you’re down, and is there to cheer for your successes. Be the friend you’d like to have in your corner.